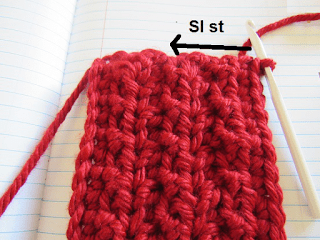 Looking for a quick one skein project? 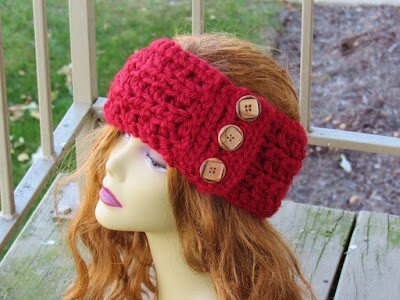 This Earwarmer can be worked up in an hour and with just one skein. Chunky and Stylish, a much-needed accessory for the Fall season. It will give you warmth while not messing up your hair too much. I used this lovely red color from Hometown USA and it came out gorgeous. 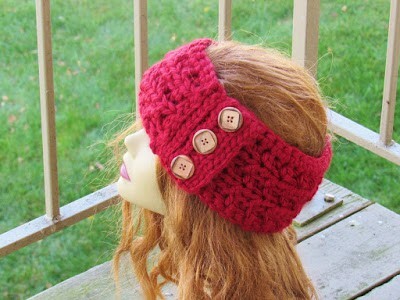 A simple to work textured stitch is used for the Earwarmer and you will be done in no time. 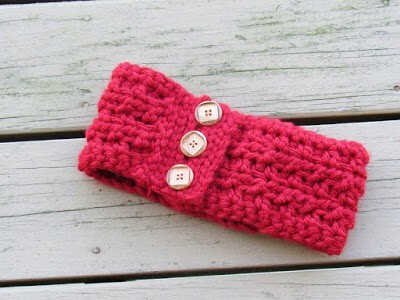 a great item for gifting or for craft fairs. UK/Australian equivalent is 14 ply. 2. Hook: Hook K (6.5 mm) and a hook H (5mm) to weave in the tails. 4. Three large wooden buttons. I used one-inch ones. Finished measurements: 21 inches in circumference and 4 ½ inches wide after it is buttoned up. I used about 100 yards of yarn. I could work it up in just one skein of Lion Brand Hometown USA with a few yards left. 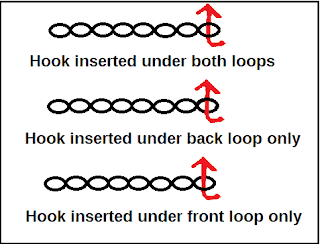 When making a regular stitch, the hook is inserted under both loops, but you insert your hook only under one of the loops in case you are working into the back or front loops. Your piece should measure 21 inches in length. Repeat Row 3, 3 more times. Last Row: Ch 1 ( counts as first sc), 1 sc in each st across. Do not turn and do not fasten off. Note: Keep your sl stitches loose. Row 5 ( Buttonhole Row): Ch 1, 1 sl st in same st as ch 1, *(ch 2, skip 2 st, 1 sl st in next 2 st ), repeat from * one more time, ch 2, skip 2 st, 1 sl st in last sl st. Turn. Row 7-8: Repeat Row 2. Fasten off at the end of Row 8. 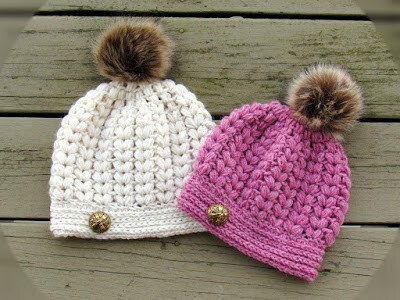 Weave in all the ends using the smaller hook and sew on the wooden buttons corresponding to the buttonholes. You are ready for Fall! I am only coming up with 16 inches, not 21 – do I need to change my hook size? I am using Hometown USA and a K hook. Did you check your gauge? Yes, switch to a bigger hook. 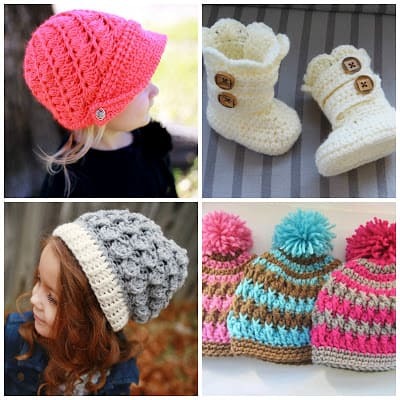 Some people crochet tighter or loser then others. You always should do a swatch to check your gauge. Increasing hook size will make your gauge bigger.